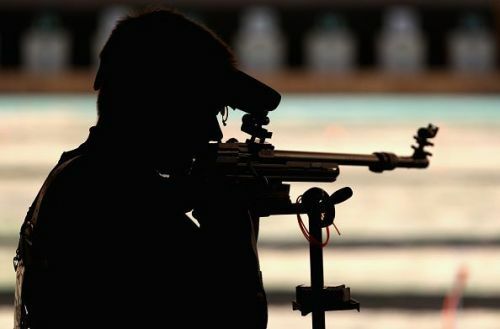 Pune, Jan 15 (PTI) Sartaj Singh from Punjab hung on to his lead by the skin of his teeth to beat a charge by National Junior Champion Aishwarya Pratap Singh Tomar of Madhya Pradesh and won the gold medal in the 50m 3-position rifle competition in the Khelo India Youth Games here on Tuesday. The 16-year-old from Patiala, shot 447.2 in the final, riding on the lead he had opened up with 151.7 in kneeling and 150.5 in prone. When they shot the standing series, Aishwarya Pratap Singh Tomar, a World Junior Championship finalist last year, started to slowly bridge the 3.3-point gap with the leader, a media release said. Son of a tissue culture farmer, Sartaj was aware that his lead had dwindled to 0.6 points when only the two of them were left in the fray. The Madhya Pradesh lad shot 9.6 and Sartaj responded with a 9.1 that was enough to fetch him gold. Meanwhile, Telangana's 13-year-old Esha Singh and Maharashtra's Harshada Nithave won the girls under-17 and under-21 10m air pistol gold medals respectively. Esha Singh was unstoppable in the final, shooting 241. 3 points, including fourteen 10s. Harshada Nithave, who won the Asian youth bronze medal in 2015, had also finished third in qualification today but asserted her intention from the start of the under-21 final. She led Yuvika Tomar (Uttar Pradesh) by 1.9 points after 10 shots. Her rival reduced it to 0.6 after six more shots. An 8.9 with her 28th let Yuvika down and Harshada held on to win gold.